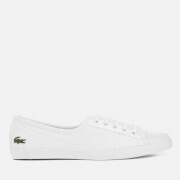 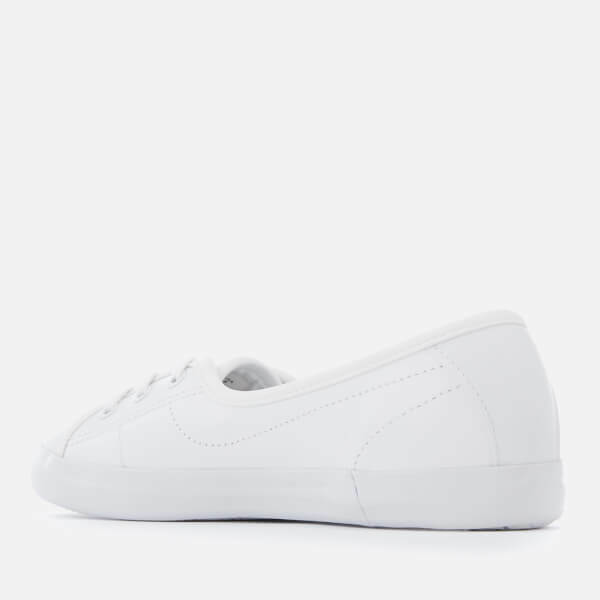 White leather ‘Ziane’ pumps from Lacoste. 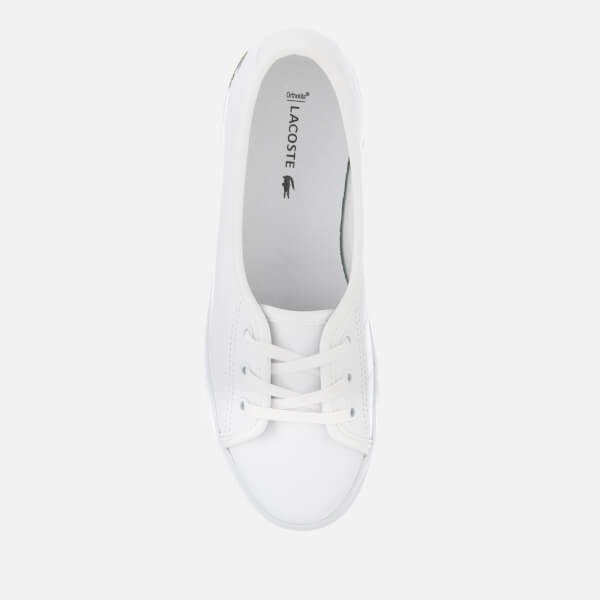 The trainers feature a rounded toe, visible stitching and a 3-eyelet lace-up fastening to the front. 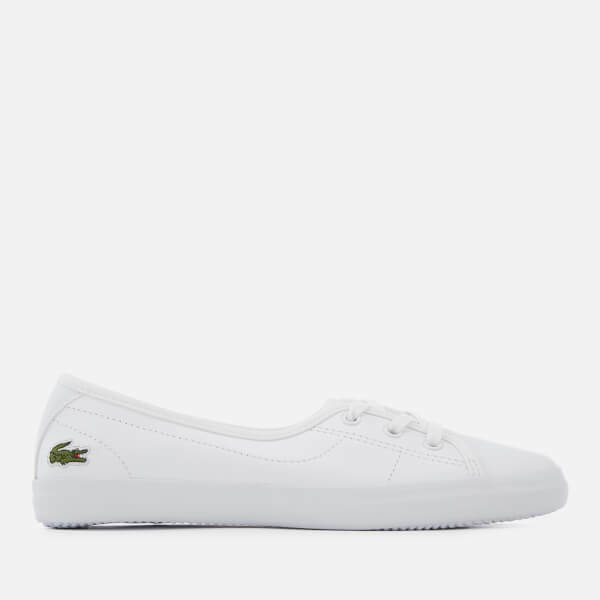 Set upon a tonal chunky sole for maximum grip and support. 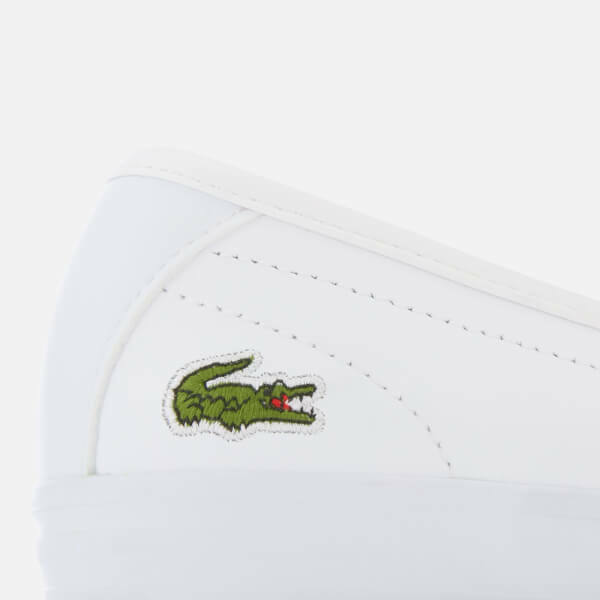 The iconic green crocodile logo is embroidered at the heel for the finishing touch.